Georgia continues to be the top pecan producing state in the U.S.
Landowners began to recognize the potential profit of pecans in the southeastern United States. By the late 1800's, several individuals near Savannah, Georgia had produced and marketed pecans on a small scale. By 1889, there were only 97 acres of pecans planted in Georgia. 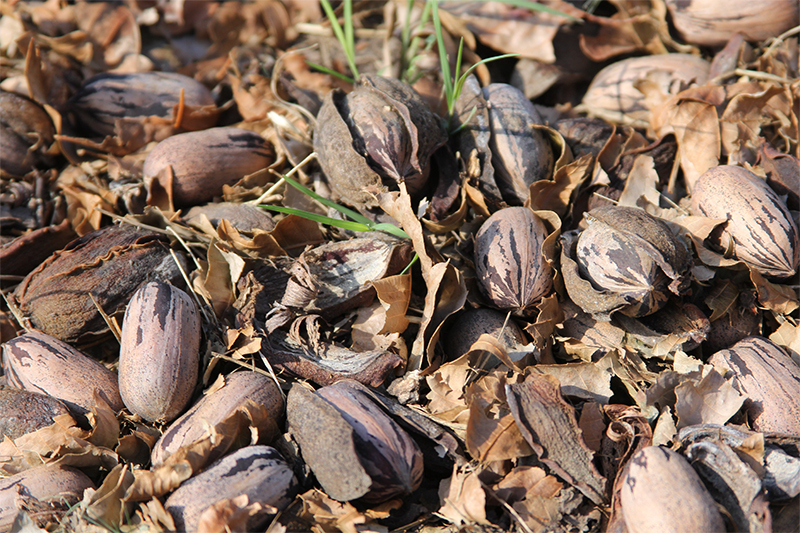 Thousands of acres of pecan trees were planted in southwest Georgia. Most of these trees were initially planted as real estate investments rather than for nut production. Thousands of acres were sold in five and ten acre units, primarily in Dougherty and Mitchell Counties, which are still today the hub of Georgia's pecan producing counties. By 1920, Georgia was producing 2.5 million pounds of pecans. Georgia was ranked as the top state in the nation for pecan production. Georgia pecan orchards may range in size from just a few trees to several thousand acres. The state continues to be regarded as the top pecan producing state in the U.S., with over 170,000 acres planted.